The addition of fencing and gates to your property can be a great way to alleviate any discomfort you may have when it comes to the security of your home. Platinum Barriers are specialists in the industry and dedicated to producing, installing fencing and offering gating solutions. Our goal is to create a solution for you that will give you the privacy, comfort, and style that you are seeking for your home. Our experience in fencing design and installation has given us the opportunity to work on hundreds of projects, giving our team the chance to learn, grow and become better at what we do. Platinum Barriers is committed to providing our customers with the highest quality materials and service in our industry. Our team is motivated by the belief that no two homes are the same, and that each job we take on will be completed with our high-quality craftsmanship and with pride. We’re continually staying informed on the latest in gating technologies, and home design trends. This way we can offer you the best design advice, best service, and most up to date gating options for your home. 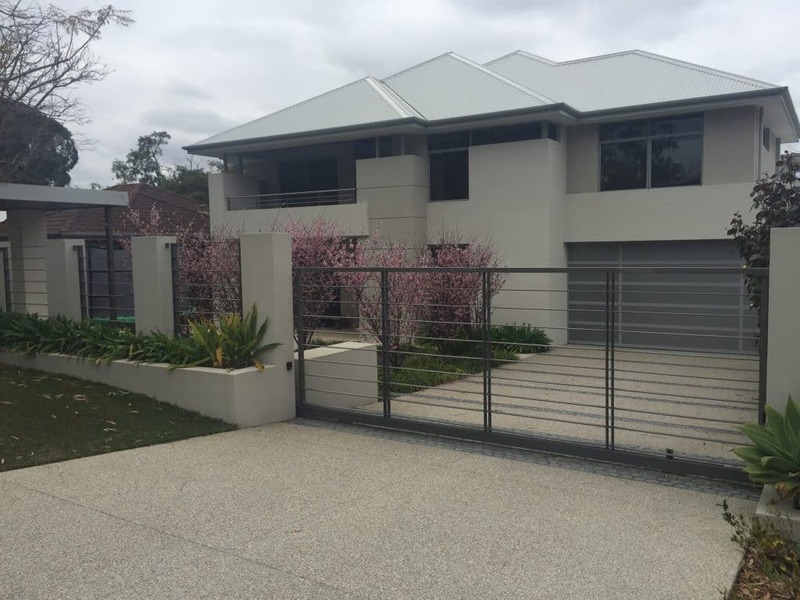 Platinum Barriers services the greater Perth region and metropolitan areas and carries an expansive range of gates and fencing options. We offer custom designs for residential and commercial areas and will always work with you to create a desired product that is within your budget. Want to know more about our selection of gate options for your home? We’ve got everything you need to know on our website, or if you’d like to see our options in person, we’d love to have you stop by our showroom. We’re also easily reachable by phone or email. Our knowledgeable staff is happy to answer questions you may have, and we also offer free quotes and consultations, so that you can be 100% confident that we’re the right team for your project. Most popular for driveways, we have access to the most state of the art automation systems that provide your home with a seamless sliding gate. Our team can supply and install a customised driveway gate that will look fantastic, and leave you with a secure, easy access carport. 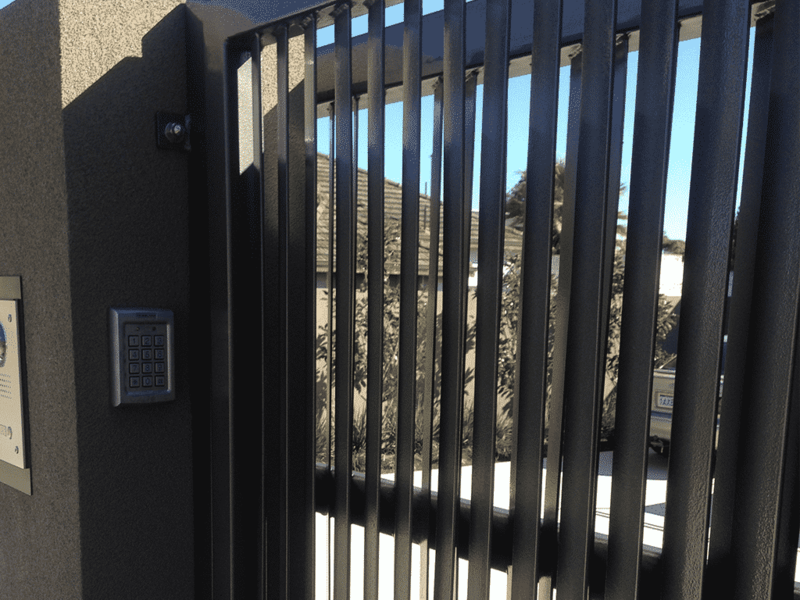 If you’re looking to add an extra level of safety to your home the addition of security gates is a great option. 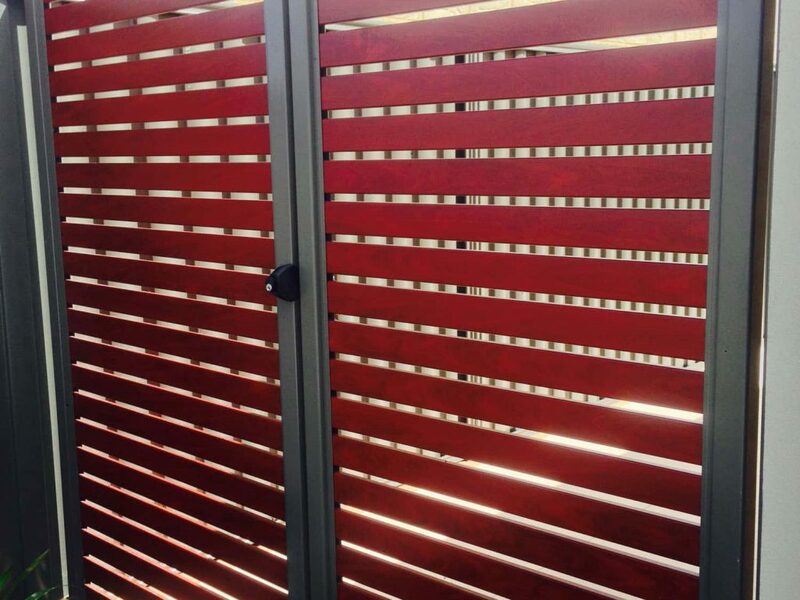 Security gates can be built with a variety of materials including aluminium slats or other heavy-duty materials. They can also come fitted with anything from regular key locks, to electric locks with key coded entry. With our quality installation and products, you will feel that level of comfort and safety that you are looking for. If you’re looking for a standard pedestrian gate to compliment your fence, we recommend browsing our range of entry gates. We have a great selection of colours and styles across a variety of products that will give your home an added touch of style to your product. 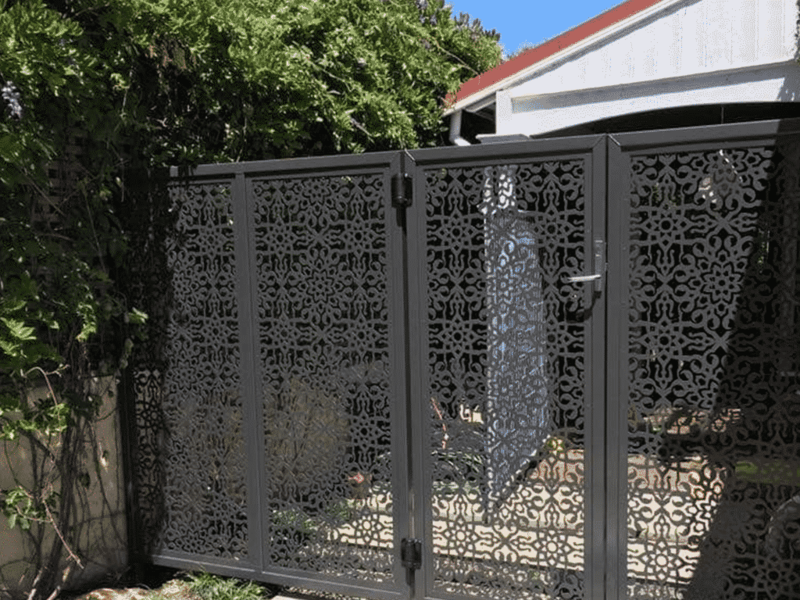 If you want your gate and fence to make a statement, our range of CNC (also known as laser-cut) gates and screens are exactly what you have been looking for. These products are a sight to behold and come in a variety of cut-out designs that create a unique, standout feature around your home. Want to see for yourself? Take a look at our gallery, or if you’re after a customer design, give our team a call today to see how we can help! From your CAD drawings to council submissions, we’ll take care of all ticking all the boxes so that you can relax and enjoy your home. Reaching out won’t hurt your wallet. We are happy to meet with you to discuss your gating needs and how the team at Platinum Barriers are the right team for the job.